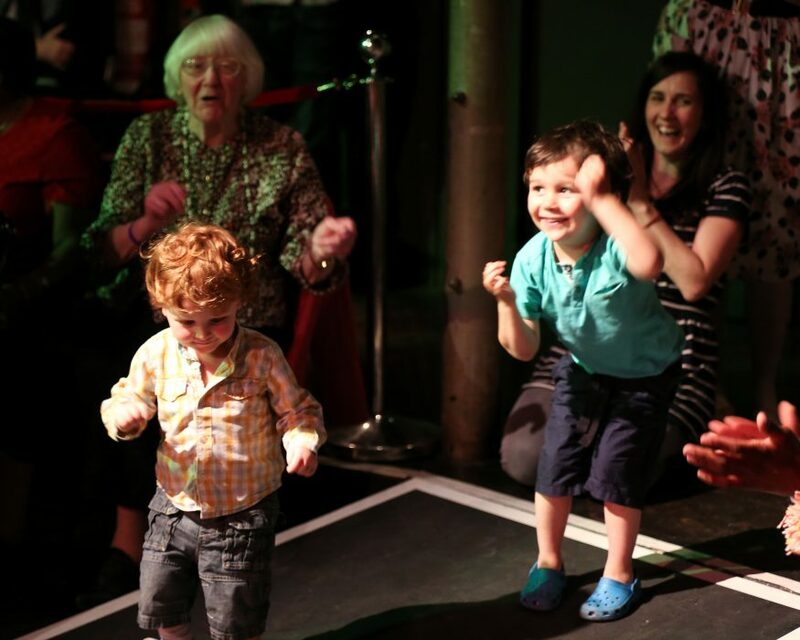 Entelechy Arts takes the conventional form of the tea dance and brings it kicking and screaming into the 21st century. 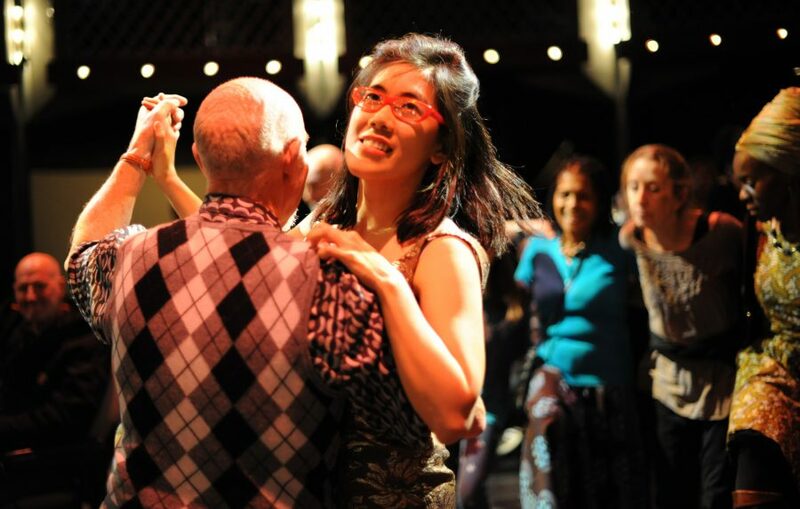 Our 21st Century Tea Dances are like big family parties where huge numbers of the company come together to meet up, dance and share work with wider audiences. 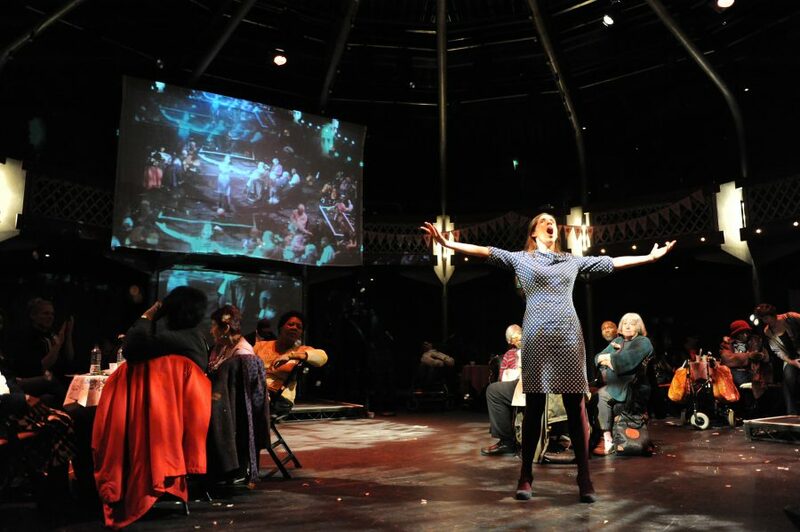 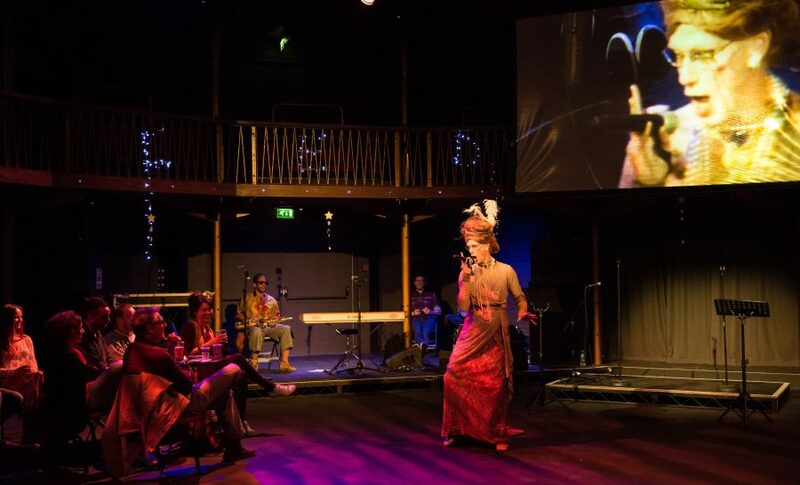 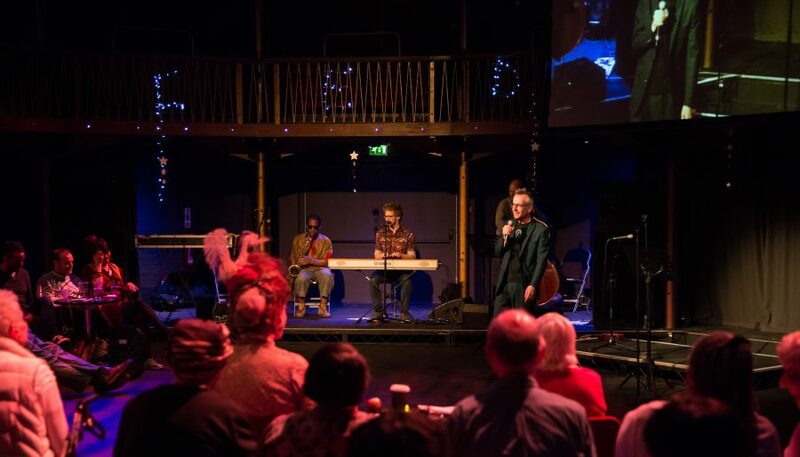 Staged in the beautiful Albany Theatre, events mix live music with video, theatre, dance performance, story-telling, dancing and singing all served up with tea and cake. 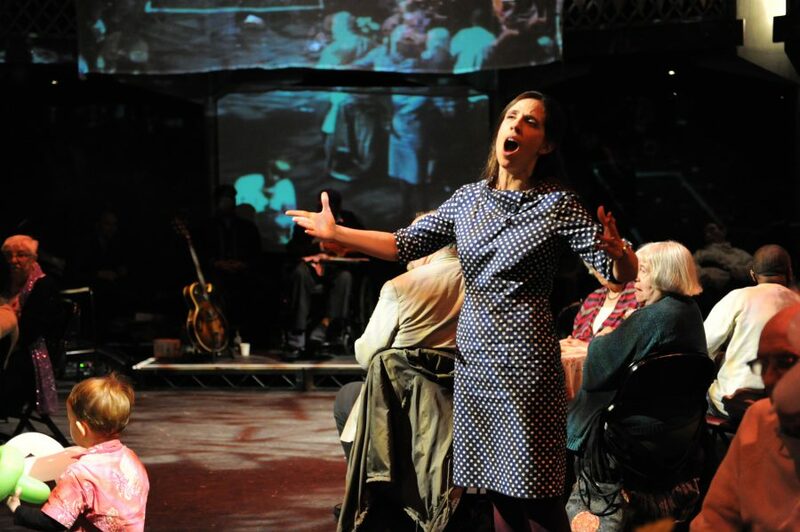 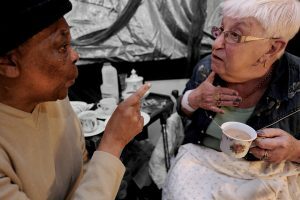 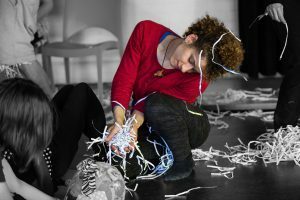 Programmes are curated by older members of our Elders Theatre Company, members of Meet Me at the Albany and our artists in care homes programme Walking through Walls. 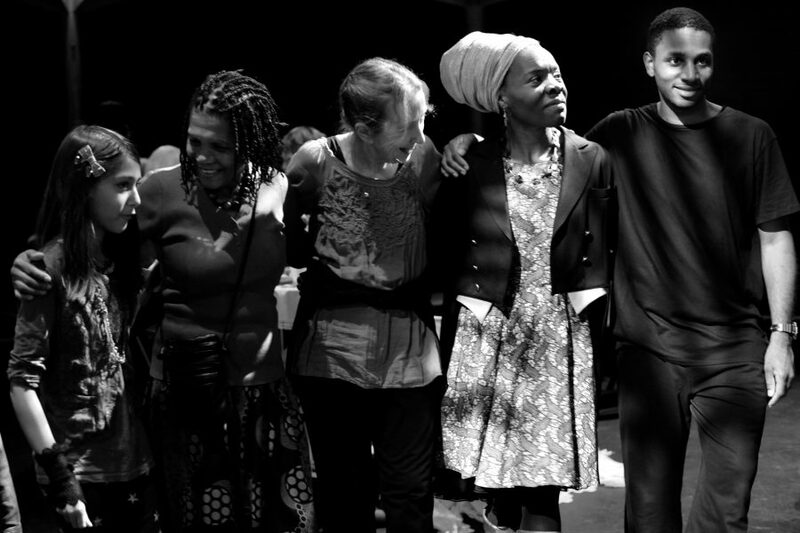 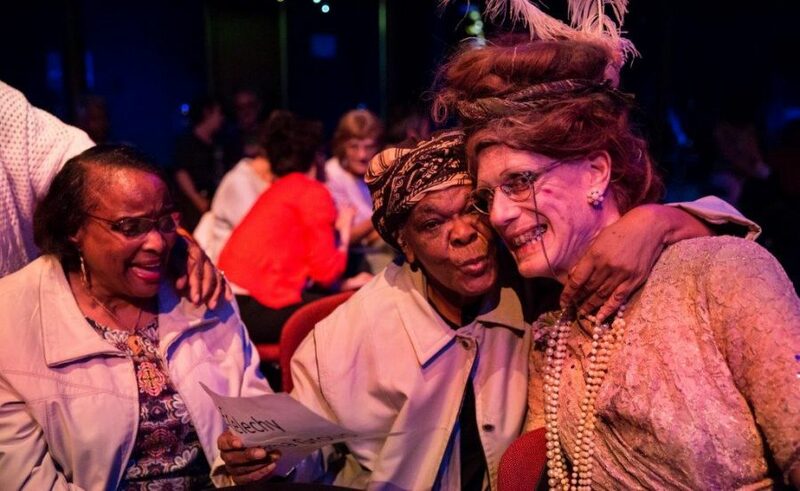 Tea Dances have been nurturing new and distinctive performance through collaborations between older participants and visiting artists. 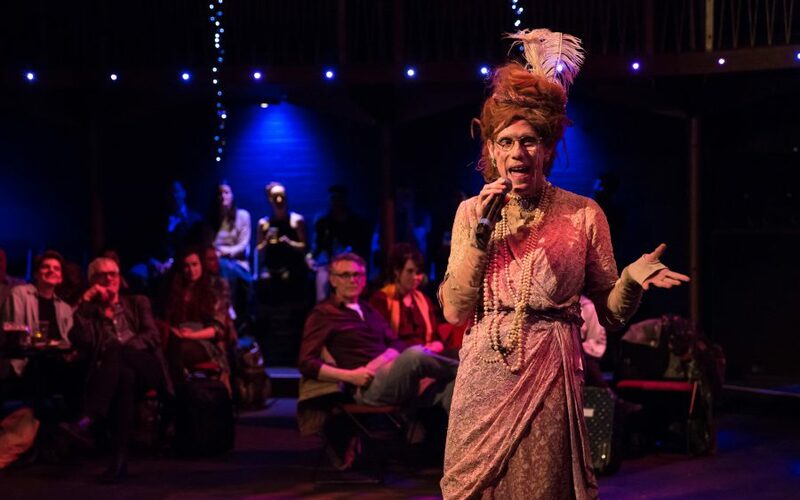 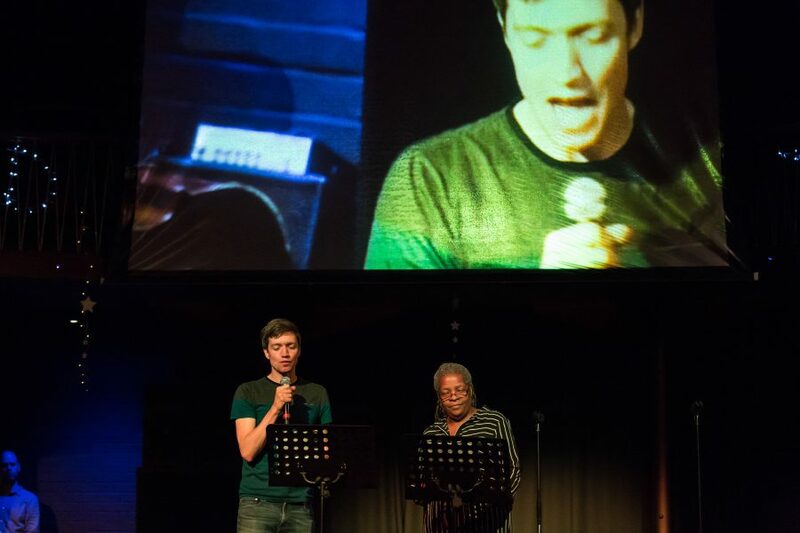 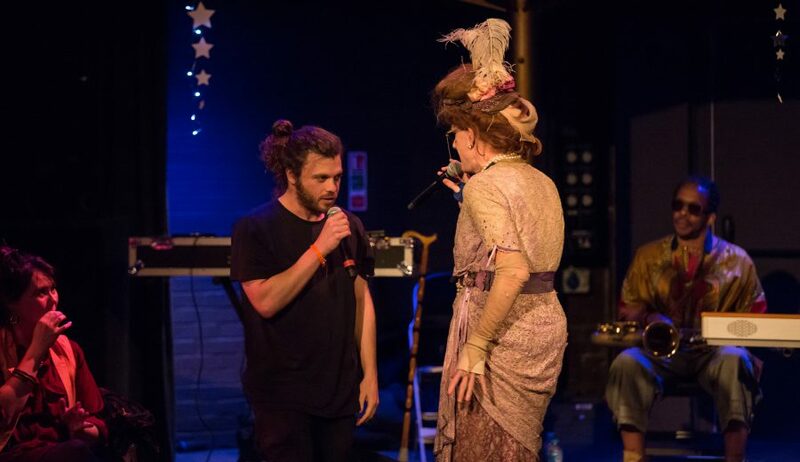 We work with independent artists and companies which include Upswing Contemporary Circus Company, Christopher Green and his alter ego the unforgettable Ida Barr, the Jive Five, Spitz Jazz Collective and spoken word collective Chill Pill. 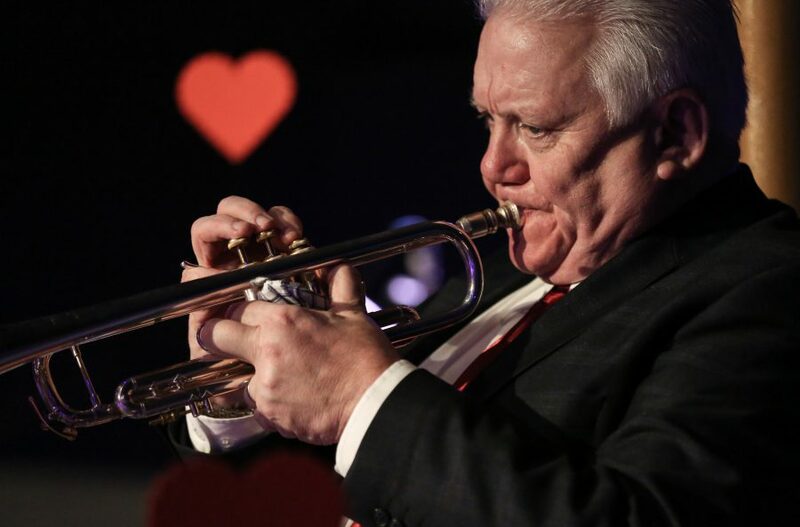 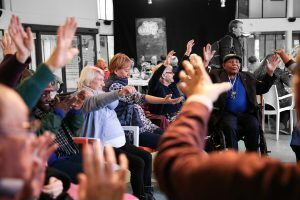 Pop-up Tea Dances also happen in our partner residential care homes across east London bringing world-class live jazz music to the corridors, gardens and bedrooms of local residents. 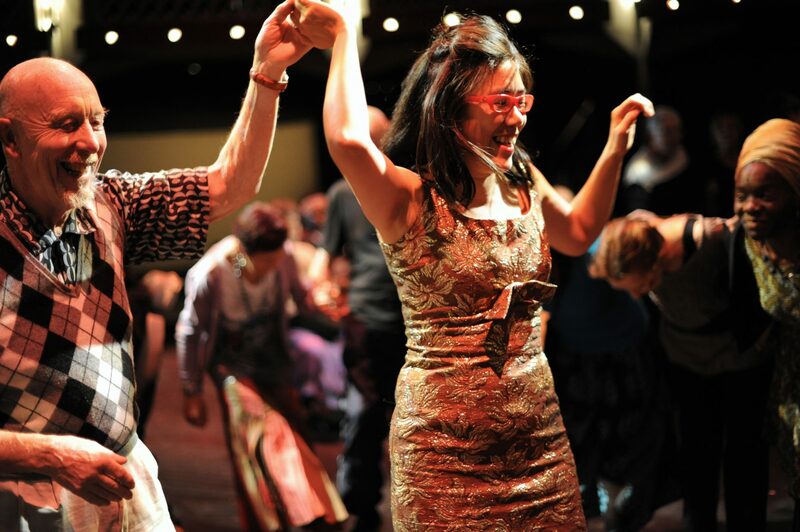 Tea Dances are held twice a year and are a ticketed event, so join our mailing list to be kept up to date or Volunteer.